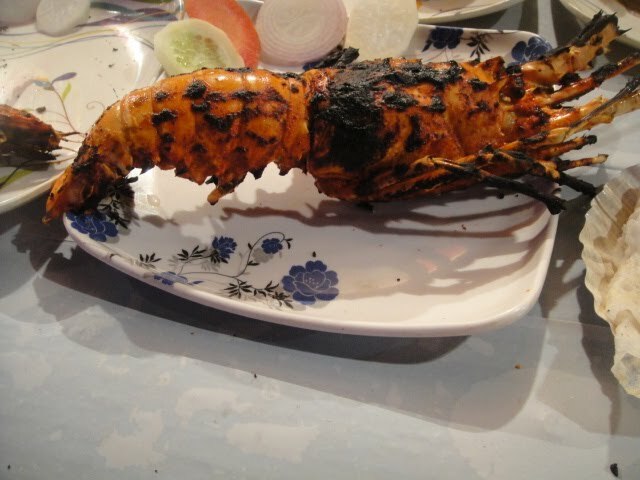 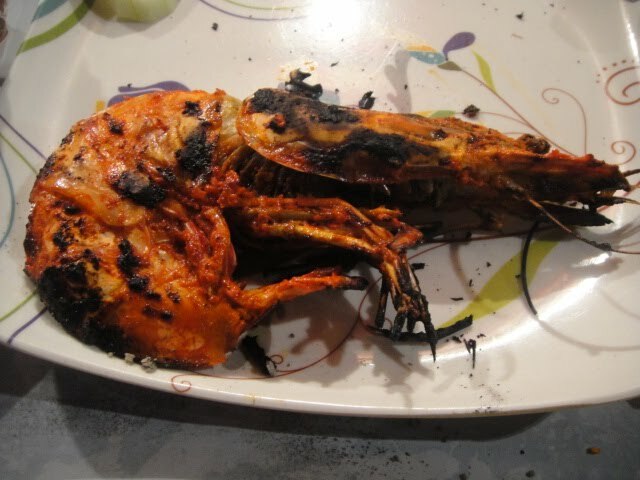 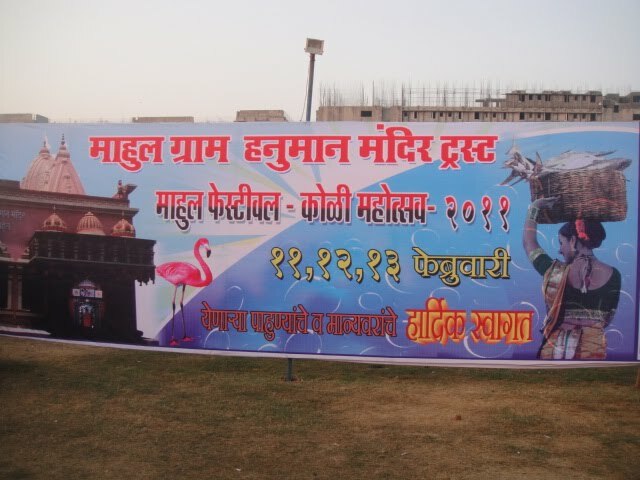 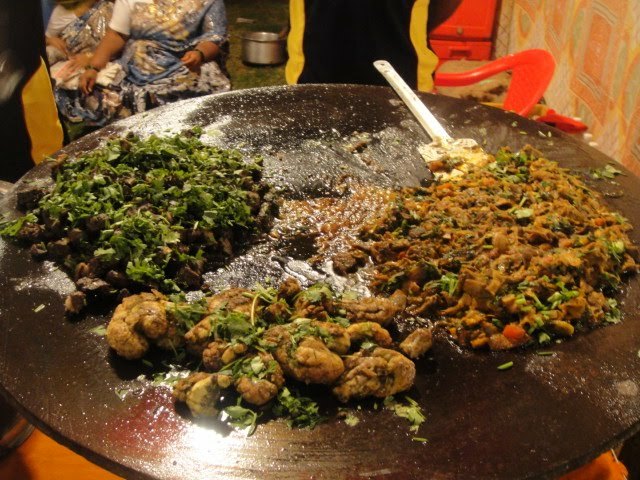 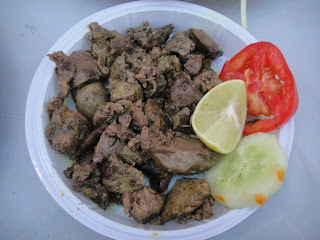 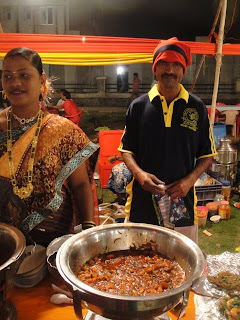 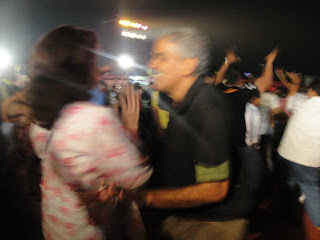 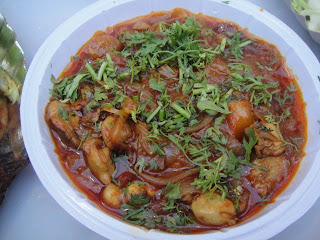 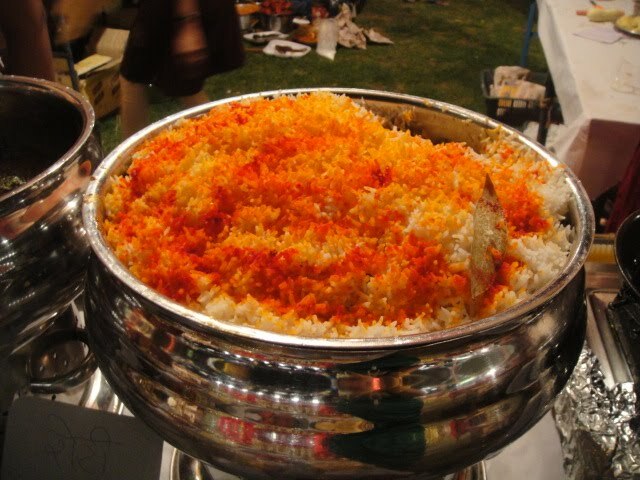 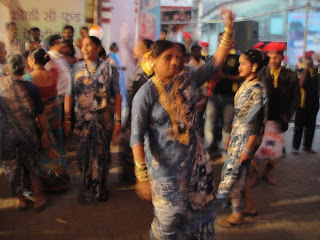 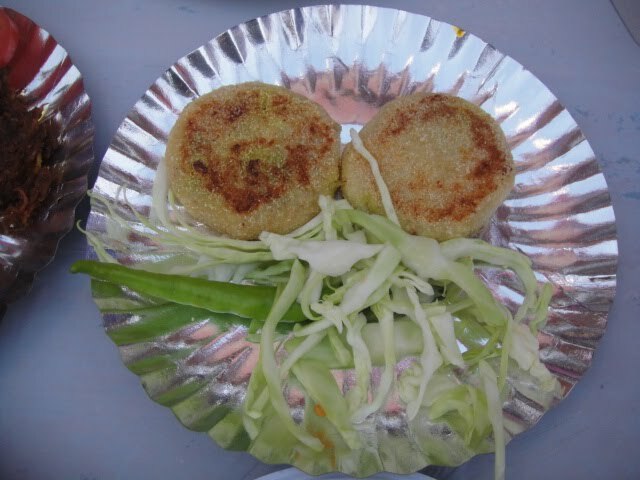 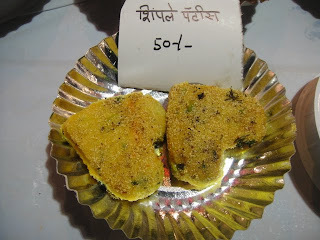 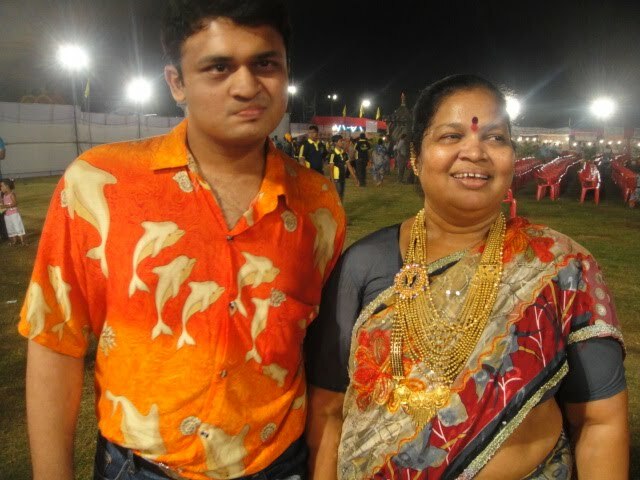 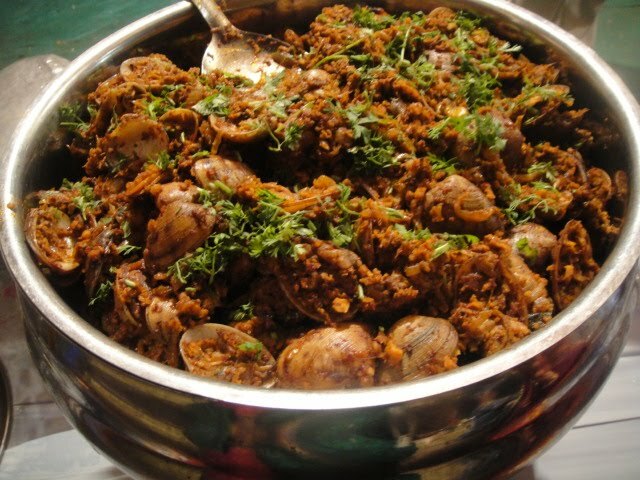 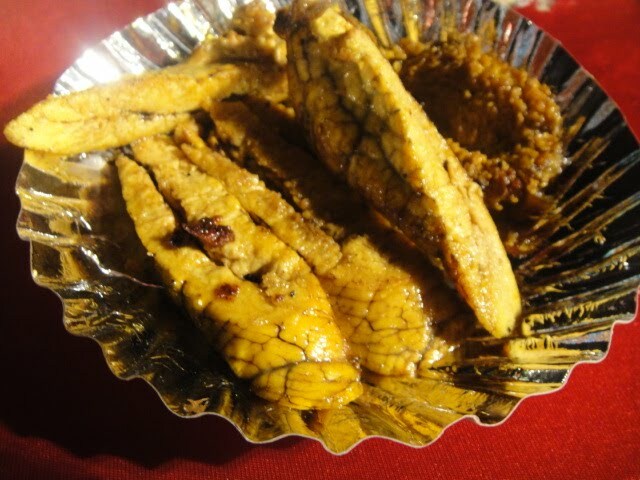 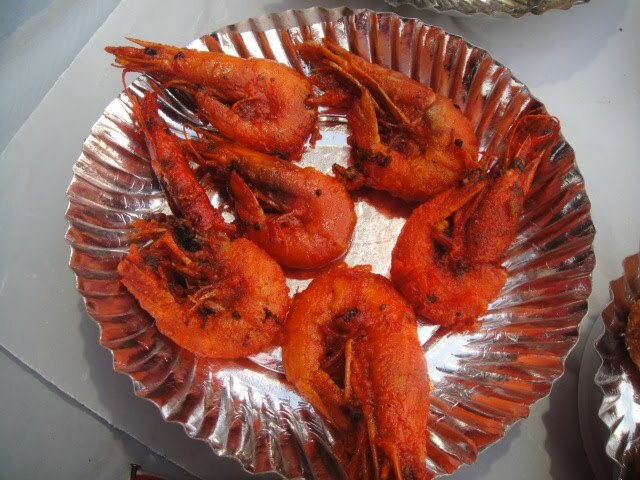 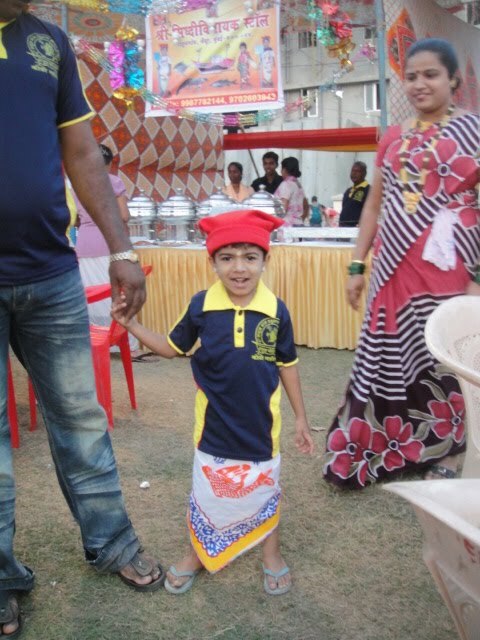 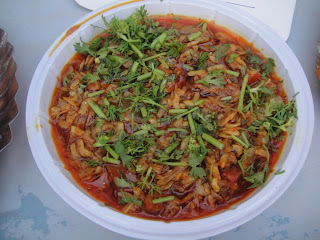 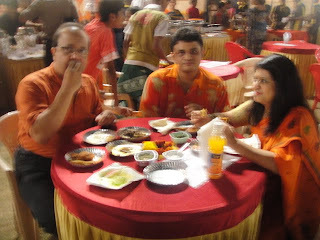 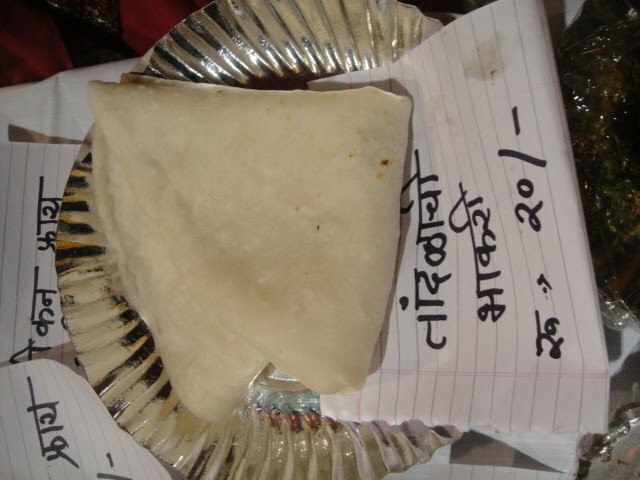 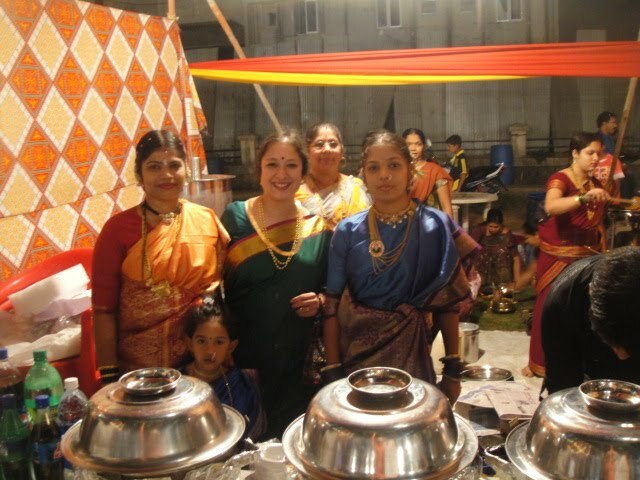 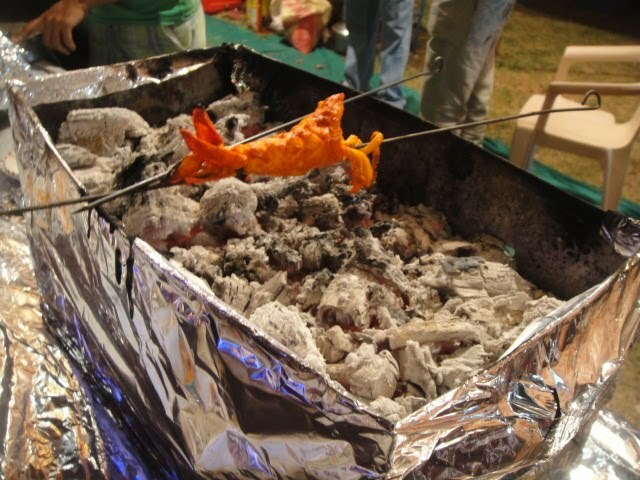 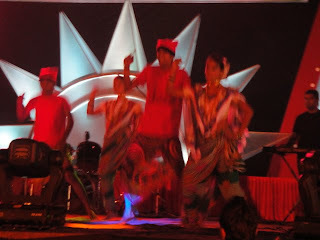 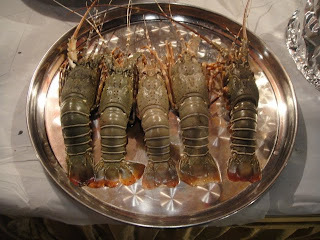 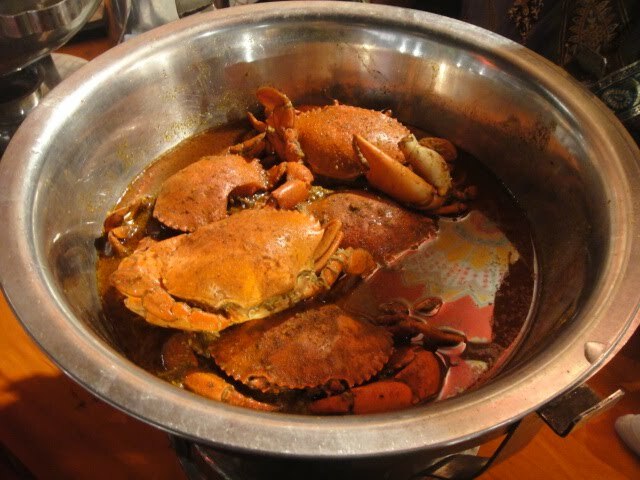 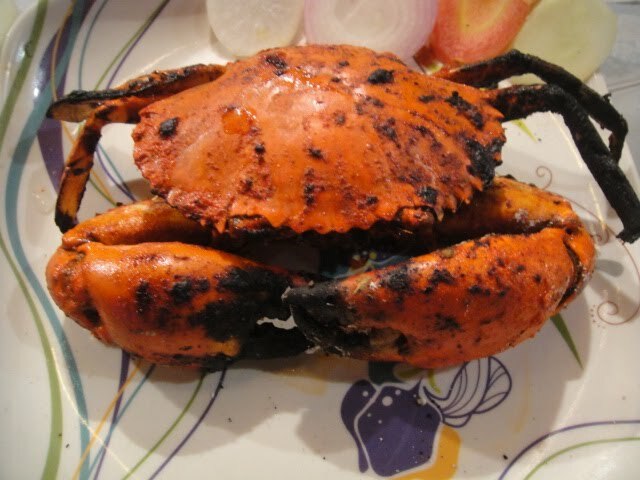 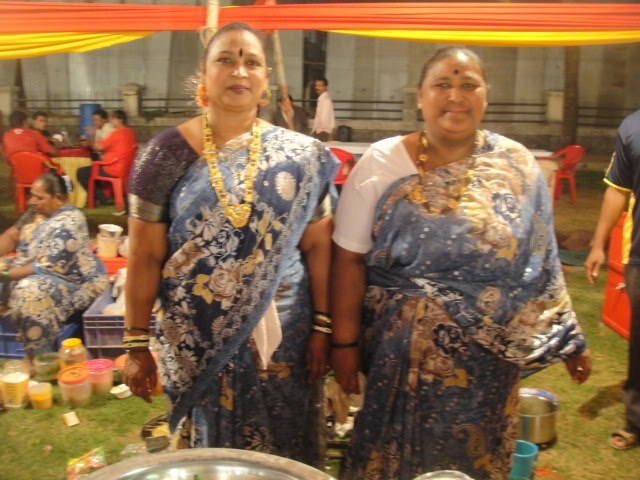 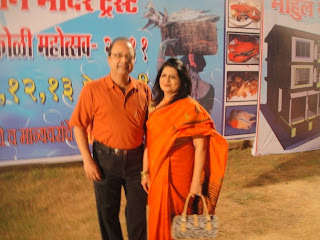 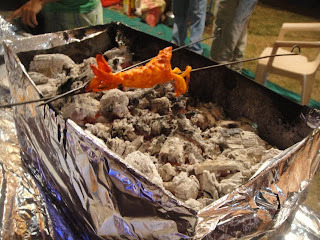 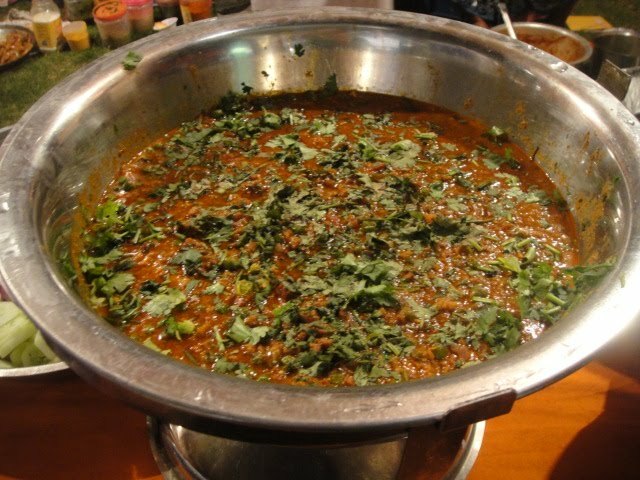 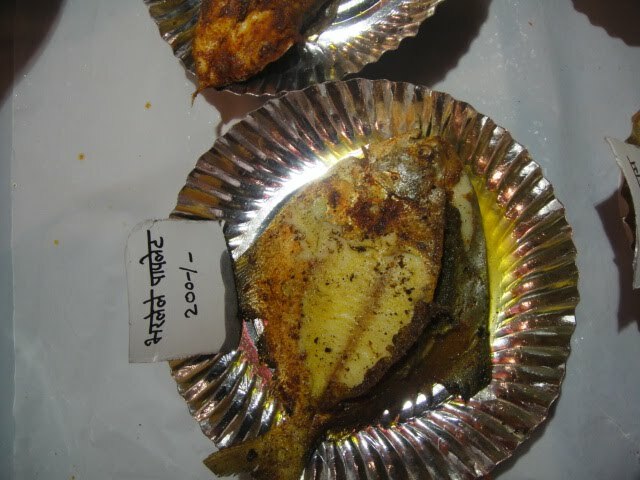 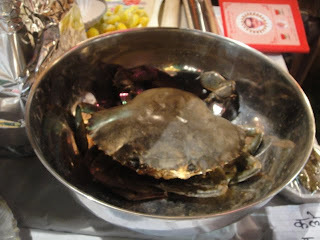 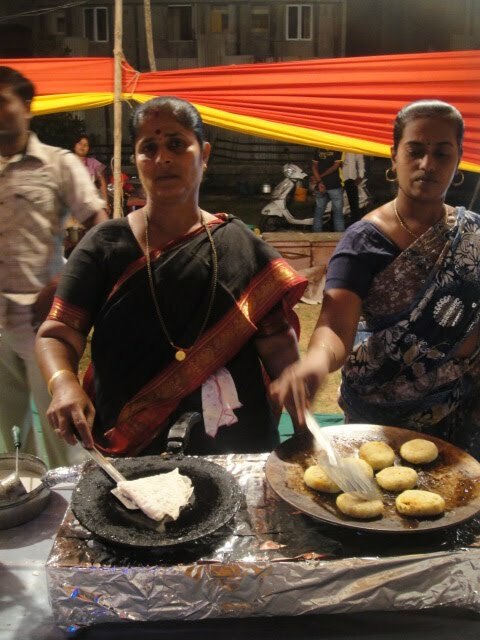 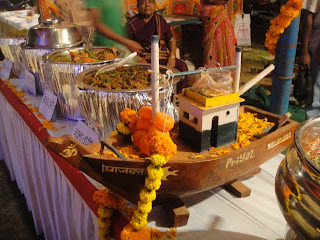 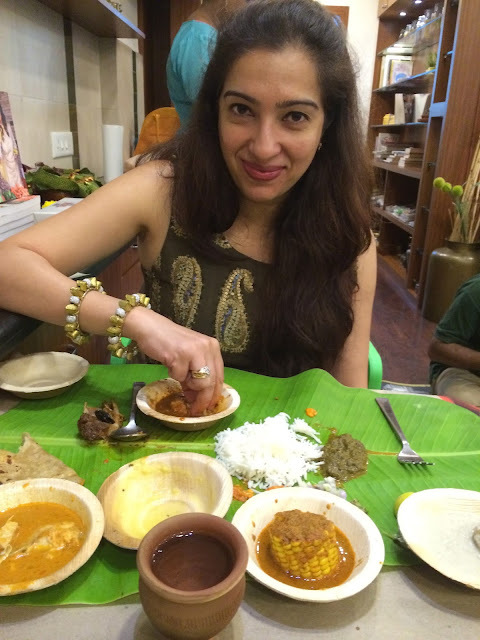 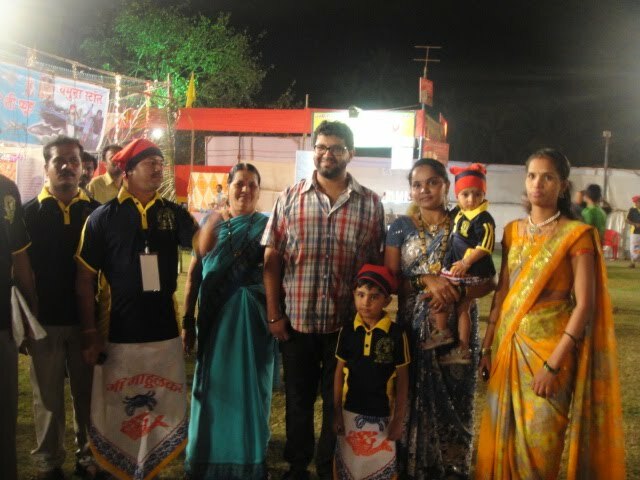 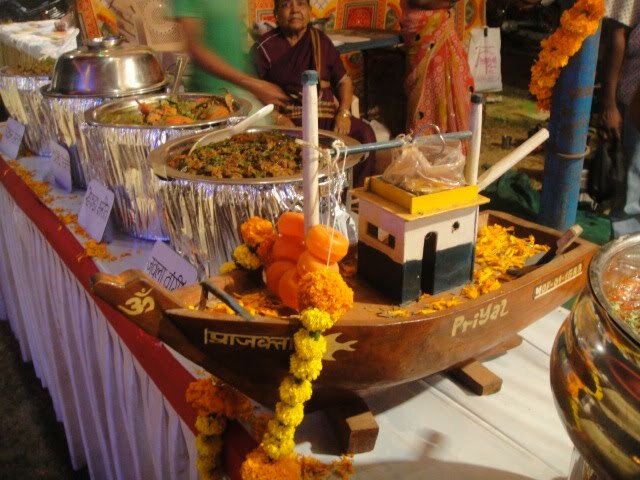 This year the Mahul Festival Koli Mahotsav was spectacular.I missed the Versova one but The Knife,Curry Spice and Rushina covered it very well and I lived vicariously through them.Come Feb and it was time for the Mahul one(the fishing village near Chembur) which I feel has great entertainment and food. 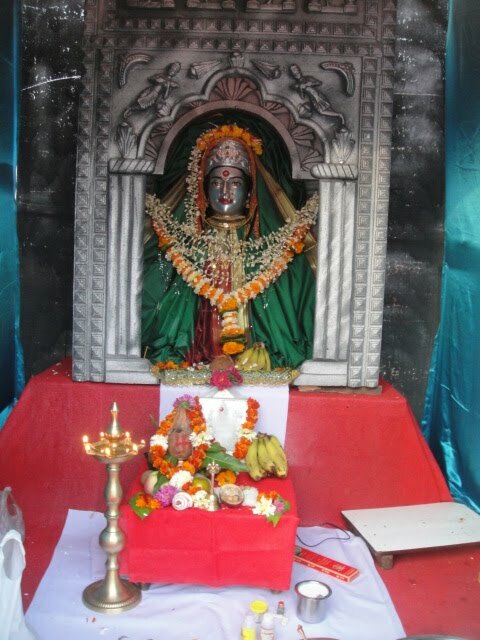 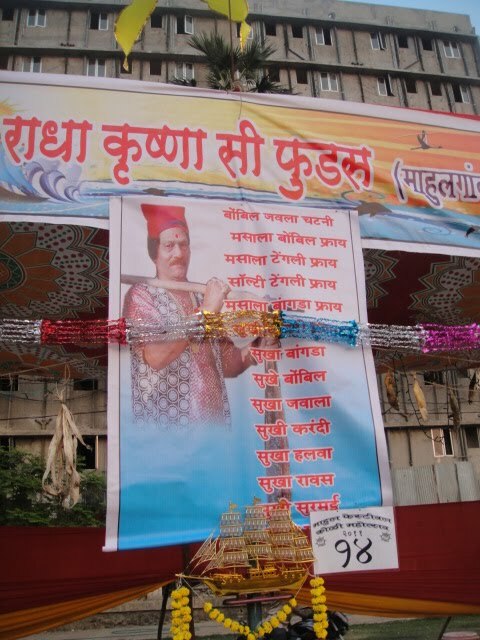 The first inhabitants of Mumbai,the warmhearted Koli people worship Ekvira Devi who is also my family Goddess(and Avadhoot Gupte's also as we came to know later).At the entrance of the festival,they had constructed a mini-temple. 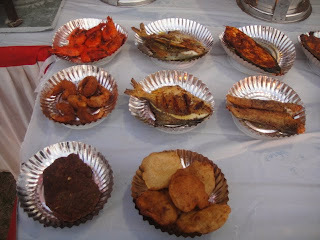 The fest had fish stalls on one side and masala stalls on the other. Large size Surmai or Kingfish. 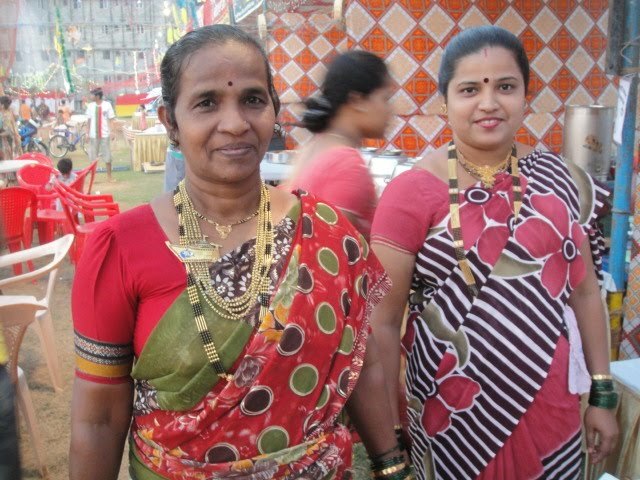 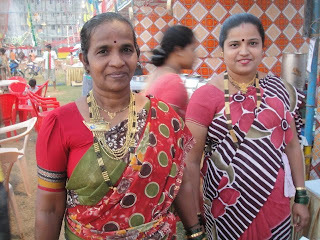 The Kolis don their traditional jewellery.They are wealthy but lead simple lives. 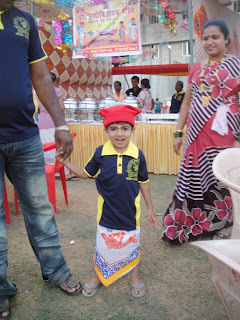 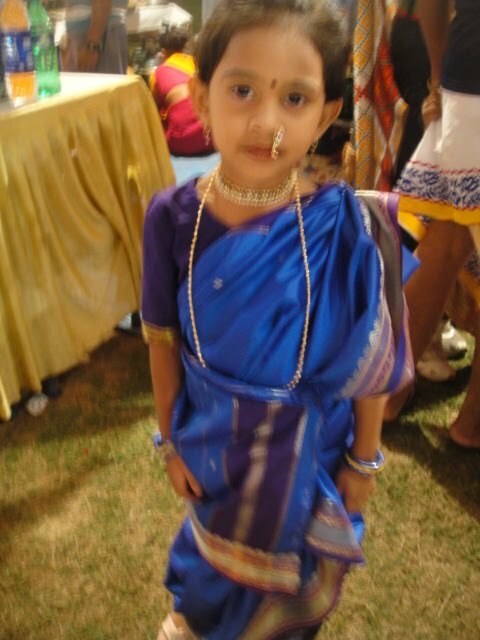 I spotted a cute little koli in a crab and fish lungi. 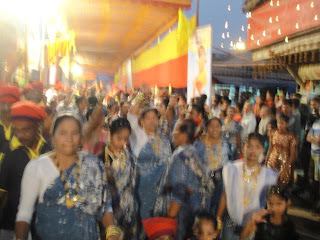 From the nearby Hanuman Temple there was a procession to the festival and we all danced.When we arrived at the venue,there was the sound of the Tutari announcing our arrival. Vinit and Rina are regulars.They love to dance and have won prizes almost everytime they have danced.They were one of the first few on the floor and then the rest followed. 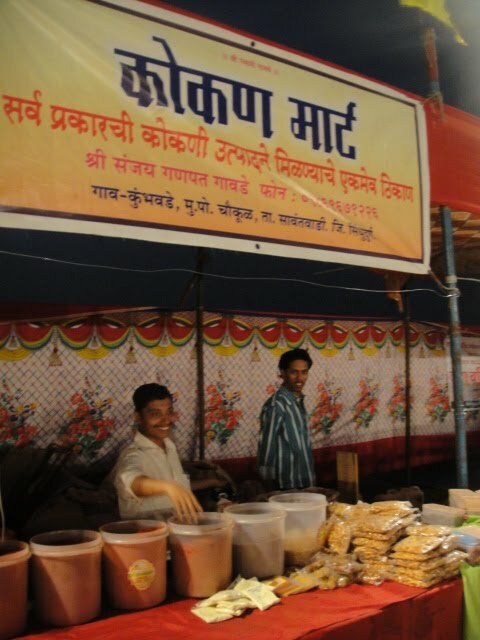 As I mentioned earlier,there were authentic masala stalls....from Malvan. and Sawantwadi! 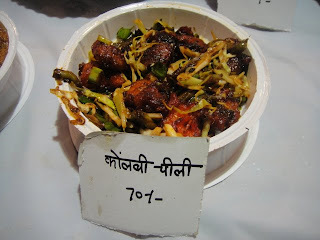 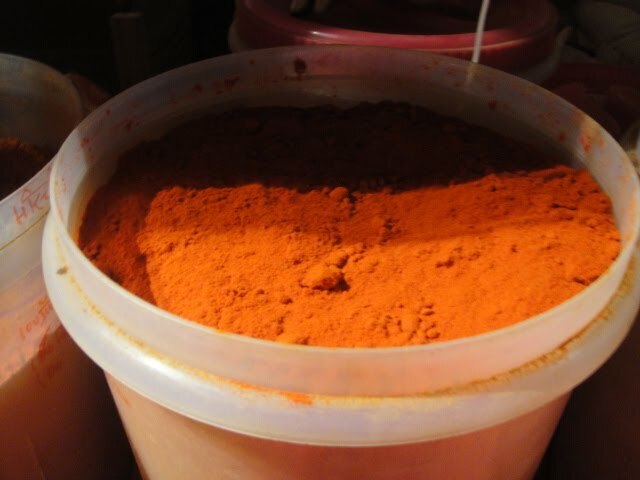 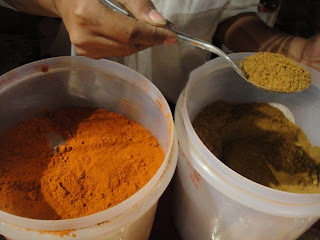 Konkan Mart had Malvani masala in different shades as per the level of spiciness required.Smelled wonderful! 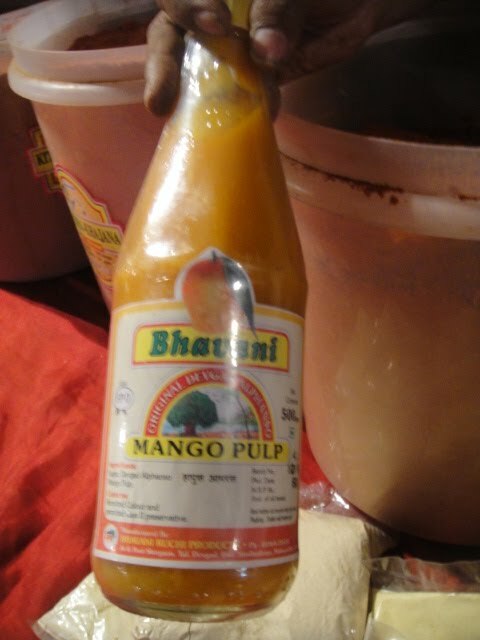 Mango Pulp from the Konkan. 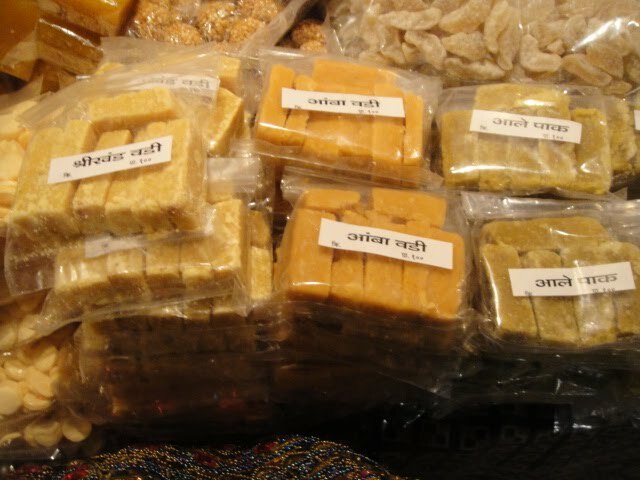 I was thrilled to see Usha Home Products from Sindhudurg......have tried their masalas and loved them. 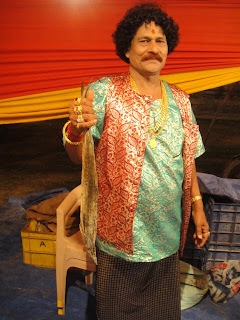 The highlight of the evening was meeting Avadhoot Gupte....he's my hero! 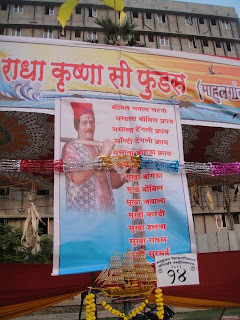 Love his songs such as Meri Madhubala,Jai Jai Maharashtra and Vithala.His movie Zenda based on politics was a big hit.He very correctly pointed out that the venue had posters from all political parites yet once everyone was inside they were all Kolis united.Avdhoot Gupte loves fish and eats it on most days of the year.He told the Kolis that after mother's milk,his next staple was fish so he had them to thank for his survival.He also chanted a funny poem on his food habits versus his wife's.He also talked about Kande Pohe (which is served at the time a prospective groom sees a prospective bride in Maharashtrian households) and asked if fish was served instead when Kolis saw a would-be match.He then followed this with a song on Kande Pohe. 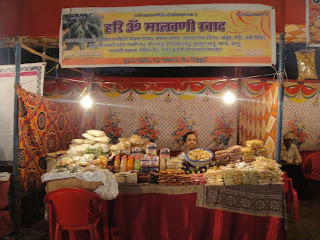 Before the singing,he took a walk around the stalls and marvelled at them. 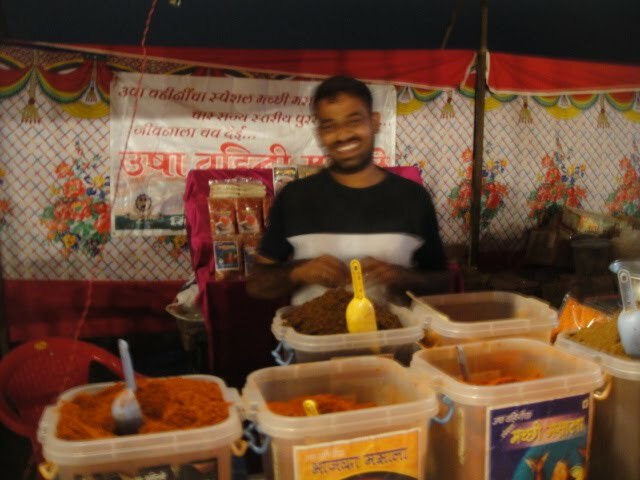 Amit said he loved everything about the festival! 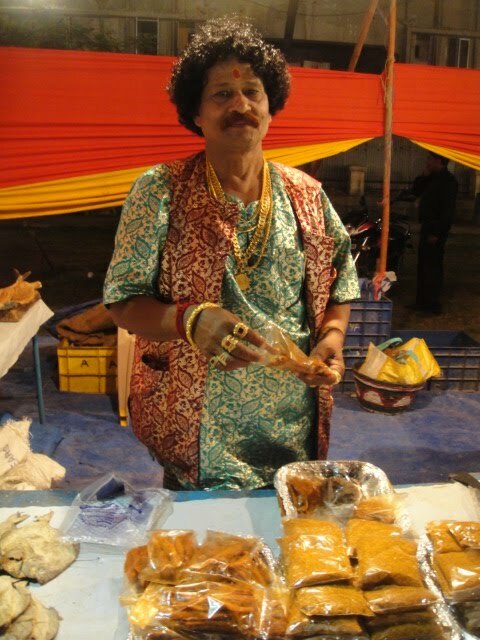 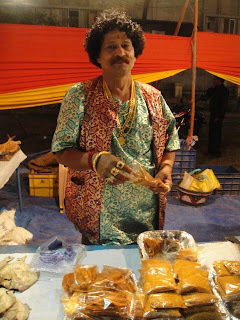 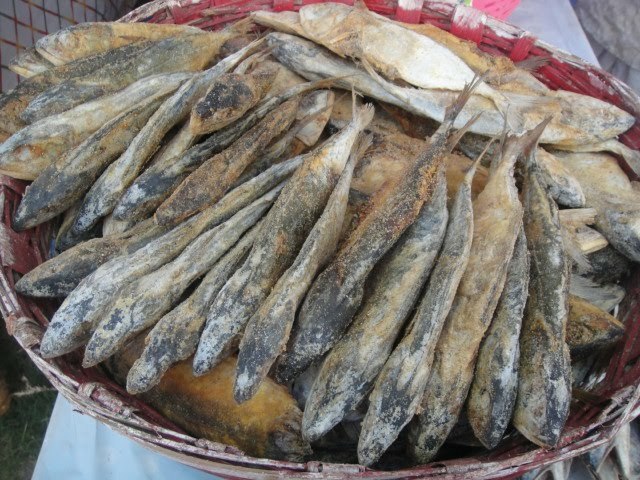 The friendly and stylish Mr Krishna Koli's stall had a huge selection of dried fish. 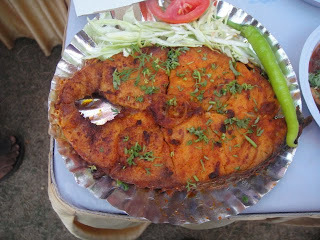 The food tasted as good as it looked.I am hungry for more! 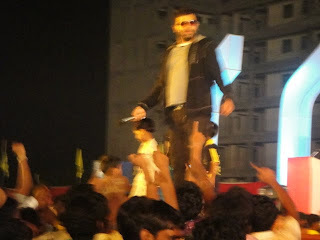 The dynamic and dashing Mr Vaity organized this spectacular show.Also met his helpful brother Arun. 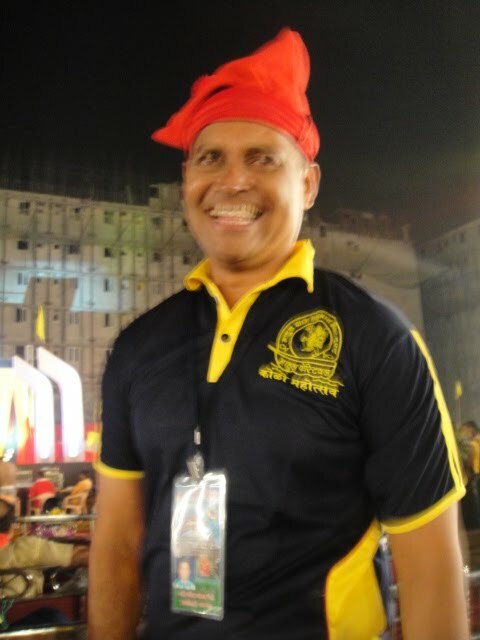 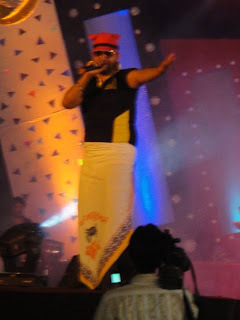 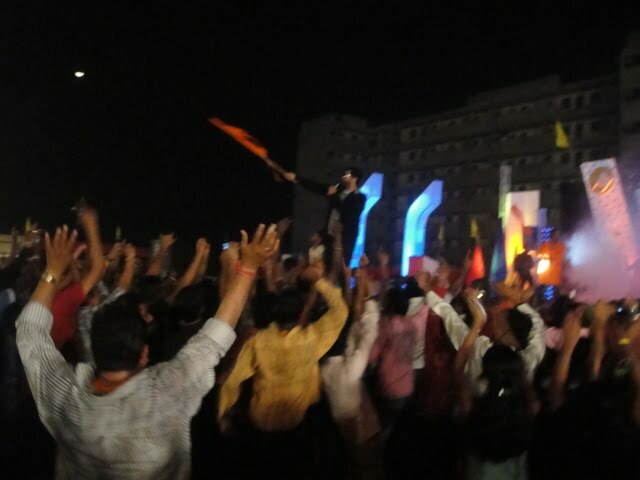 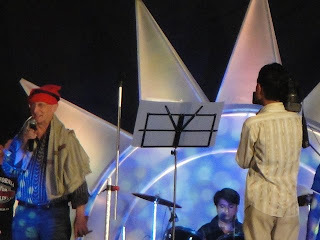 Avadhoot Gupte enthralled the crowds with his songs,other popular songs like Aika Dajiba and Kombdi Palali as well as Koli numbers like "Mee Hai Koli".He wore the Koli cap and lungi while performing the Koli songs.He asked the crowd if they wanted to hear rock and the crowd roared in approval! "Vithala" from his movie Zenda was the best perfomance...moved everyone! 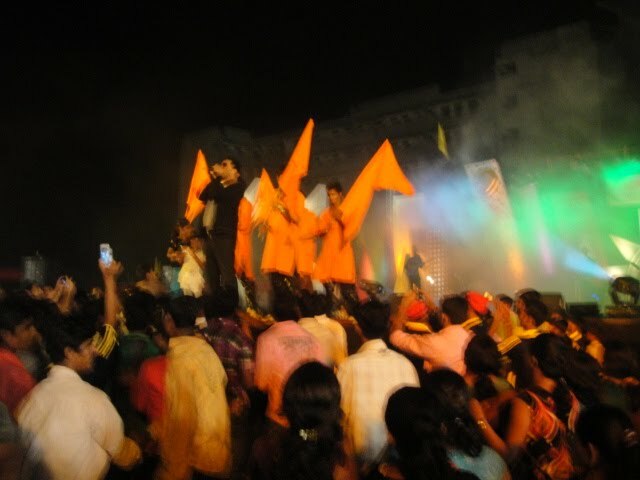 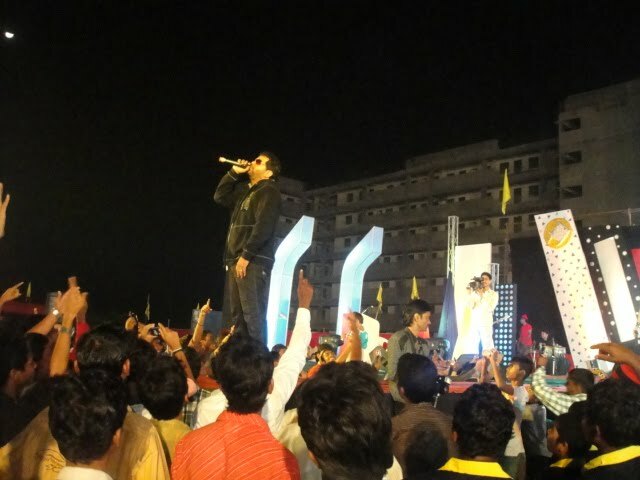 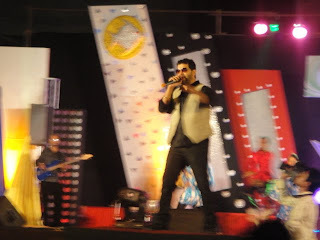 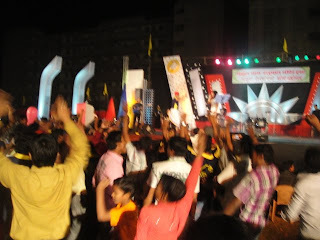 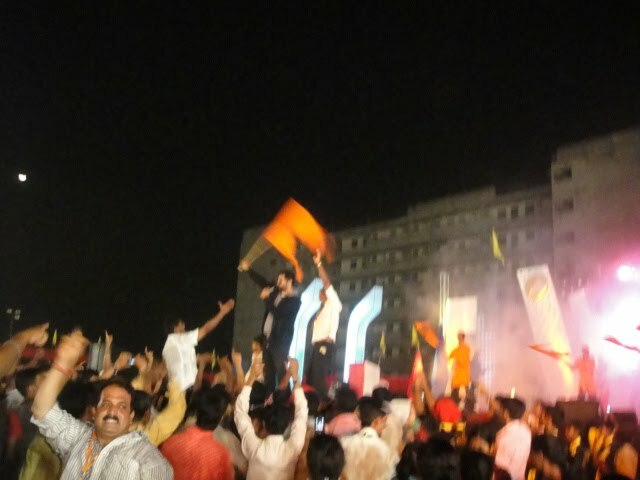 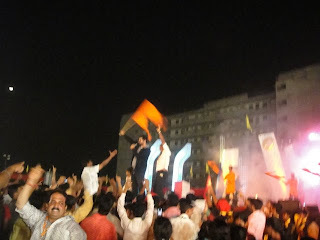 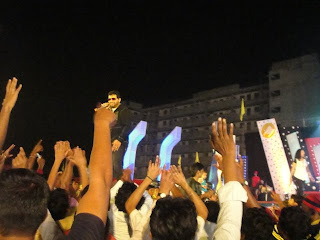 The song "Jai Jai Maharashtra Mazha" was the grand finale! 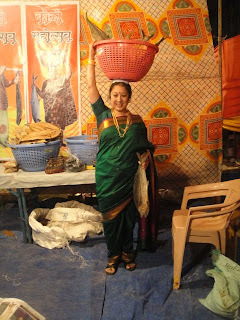 The lady with the fish basket shows tremendous poise an composure. 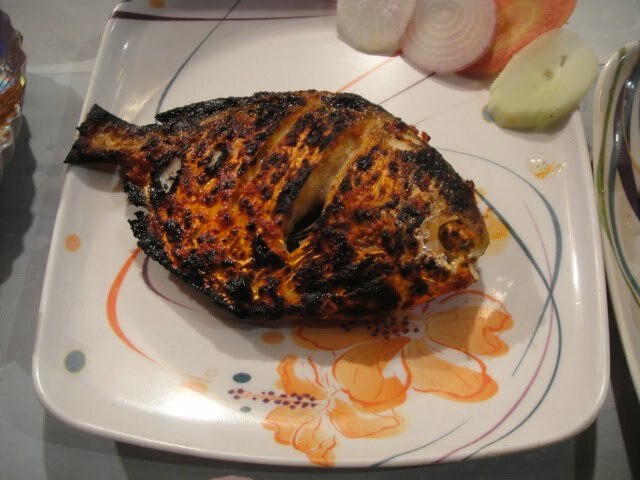 So glad you could make it Sassy. We wouldn't have learnt about these wonderful events but for you.